The turtle’s shell does have a fancy look to it. 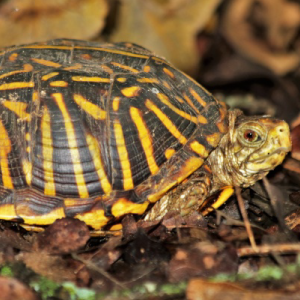 Each shell segment (scute) has a radiating pattern of yellow lines on a dark brown background. Range: Eastern United States ranging from southern Maine to Florida along the East Coast, and west to Michigan, Illinois, eastern Kansas, Oklahoma, and Texas.